You can tell it’s been produced with love and dedication. The sound is utterly divine, an amazing orchestra, a wonderful big band, spot on choir and both Bs singing like a dream. "If you're a fan of musicals and big, powerful voices then yes, absolutely." "It just goes to show that you never, ever know what is around the corner in this business. We didn’t expect this." "..finally risen all the way to the top spot, which is unusual for a record that has been performing well all along..."
Since its release last month, Together has become the only album to increase its volume of sales week after week. "This all could be rather sterile, but the obvious friendship between Ball and Boe and their good-natured, unforced banter with each other..."
Michael Ball’s Mack is all grit, snarl and raw energy. His grumpy movie mogul captures perfectly the driven man who could urge his actors and production teams on to churn out 15 films in three weeks to feed the insatiable cinema going public’s demand for new works. Ball himself, of course, reaches new heights in a show that cannot fail but take the West End by storm after its Chichester run. "The power and magnitude comes from Michael Ball’s utter immersion into the title role that renders him all but unrecognisable"
"Ball ’s Todd is mesmerising. You keep staring at him wondering if it really is the star of Hairspray, Phantom and Chitty Chitty Bang Bang. The transformation is remarkable and all credit to the actor’s versatility." "Ball is frighteningly morose, this typically chirpy performer transmogrified into a hulking psychopath, with a greasy forelock and ghoulishly pallid face." "Instead, Imelda Staunton's Mrs. Lovett, curling herself against him, breathes in the sexual heat pouring off him and, terrified and thrilled by his violence, whispers right into his ear in an attempt to bring him back down to practicalitie." "What Michael Ball brings to Sweeney, aside from his tremendous voice, is a monumental, depressive stillness." Michael Ball playing the malevolent Mr Todd?” I hear you cry with scorn. Yes, and he’s quite literally bloody brilliant. His stage presence is mesmerising, with an almost Russell Crowe like gruffness. "Vocally, Ball is breathtaking, he moves seamlessly from rich baritone to lyric tenor with ease, creating moments of astonishing beauty, particularly in his haunting rendition of My Friends"
"The moment when he shifts from specific murderous intent towards the judge who wronged him and into a psychopathic loathing of mankind is, if you will pardon the pun, hair-raising"
"we meet a still, brooding, snarling, giant of a psychotic man who would sit comfortably alongside other iconic figures of horror like Hannibal Lecter or The Texas Chainsaw Massacre’s Leatherface." It’s a chilling performance, sinister and saturnine. Ball is usually associated with warmth and a dimpled, chummy charm. "Yet it is more than an image change that makes the actor’s performance such a triumph, it is the physicality and passion he brings to the whole affair." "Ball's grim, vengeful anti-hero is mesmeric"
"...he combines passion, wickedness and black humour well"
"Ball is terrific. Unrecognisable with his beard and side-parted hair, he sings with the chilling purpose of a man desperate to turn himself into an angel of death. " "...Instead of playing the end from the beginning, Ball charts every stage of Sweeney's descent. And I mean it as the highest compliment..."
"...and the moment when he flips from a man with a legitimate grievance into a deranged psychopathic killer sends shivers racing down the spine." "The performances of Michael Ball as the avenging demon barber and Imelda Staunton as a bustling, bravura, pie-eyed Mrs Lovett will remain definitive for a very long time. " Ball is a brooding, menacing presence, vicious in the extreme, but also powerfully poignant - the embodiment of evil, but an evil you can understand. "But if Staunton’s evolution is satisfying, Michael Ball is a revelation. We all know he is a safe pair of lungs, but his Sweeney is intense, pitiable, real. " "It was the triumphant pairing and performances of Michael Ball as the crazed Sweeney, and Imelda Staunton as the eccentric murderess Mrs Lovett. Together, they brought a new power to the show perfect for each other’s exceptional artistry." "he is a performer of both musical and theatrical skill and commitment." So Ball presents us with a potato-faced, dark-haired guy you could easily pass in a crowd and who only reveals his murderous fixation in private. "he is the psycho next door, and a much-improved version of Norman Bates – taller, stronger and in control of his temper. " "But Michael Ball is an unexpected revelation, not just because he is virtually unrecognisable - only his trademark dimples give him away - but because he dares to appear so relentlessly unsympathetic"
This is an entertainer who has a real mutual love affair with his fans, and gives unstinting of his talent. It's awkward for a thirty year old man to get goose bumps when listening to another man perform “When Will I Hold You Again,” but by the end of the evening I couldn't really hide them. Now he is one of UK entertainment's top names and he's currently showing precisely why at the Bristol Hippodrome. Michael Ball is fantastic as Tracy's mother Edna, and is in danger of overshadowing Micky Dolenz – who plays Tracy's father. Ball clearly embraces the part, and his skill and comedic ability make Edna a huge hit with the audience. Perhaps the simplest scene of the lot in the second half, but definitely the most memorable, was when the pair sang their duet Timeless To Me – it was a classic and I felt tears of laughter rolling down my face. Kudos, too, for a thrilling rendition of Joel’s New York State of Mind and the lively crowd-pleaser of an album finale that is Avenues And Alleyways. Ball’s popularity only looks set to soar. "....he’s done them proud with arrangements that are classic and classy and heavy on strings and brass.."
It's not easy holding your own against theatrical heavyweights such as Michael Ball and Micky Dolenz. Michael Ball surprised all in the West End by donning the show's most flamboyantly feminine outfits and he shows south coast audiences just why he won an Olivier in the role of Edna Turnblad. “The last few years have been the most successful and enjoyable of my whole life, personally and professionally,” he said. "...he is totally convincing as the mother of Tracy Turnblad ..."
Michael takes mere musical theatre to another level with a majestic, emotive delivery of almost operatic proportions. Ball may have included Hansel as a guest but with such a soulful, smooth velvet vocal instrument, Hansel will quickly become Ball's successor. As he belted out the final songs, much of the audience gave him a standing ovation, stamping and clapping for an encore. He's looking great. Young, fit and energetic. ...before finishing on a roof-raising high with The Impossible Dream; not just the biggest voice, but arguably the best. FEW would argue that with everything so darn miserable at the moment, this country badly needs a bit of a boost. And who better than Michael Ball for the job of chief cheerleader? "he wandered off stage and said to me 'that is one of the most fantastic things I've ever seen'. Over the years that voice has matured adding richer, deeper notes and with them a seemingly never-ending amount of clout. This was a quite astonishing performance from a true master of his art and one can only hope that it isn't a further three years before he graces the stage in this way again. An absolute quality performance from an absolute star and his companions. "He's clearly having the time of his life, appearing in ever more extravagant dresses and outfits. " "Michael Ball really makes the most of his chances"
" Michael Ball dons the rather large brassiere of Edna Turnblad and he is magnificent "
"Michael Ball is having a blast in the Dame role as Tracy's mum"
"Ball acts the role with real maternal solicitude and sweetness"
"We were actually singing the finale as we stepped out into the street: “ 'Cause you can't stop the motion of the ocean, or the rain from above . . .”"
" his (Mel Smith) ''Timeless to Me' duo with Ball is one of the unexpected showstoppers; when they kiss, it's more kind than camp." 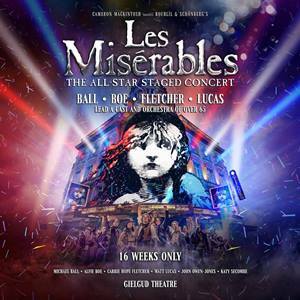 "It is easy to see why it won practically every award going in New York and justice will not be done unless London follows suit "
"I struggled hard to resist being washed away on the wave of feelgood this show generates but, in the end, washed away I was"
but the most pleasant surprise is Michael Ball's Edna. Getting into a dress has clearly released Ball -- his usual over-bright stage persona has vanished. "Michael Ball has the part of a lifetime. Obese and camp, Ball is the best pantomime dame London has seen in years. " "Ball turns in a funny and touching performance, resisting the temptation to go over-the-top." "...the fat-suited Ball, who is appreciably better than John Travolta in the recently released movie version of the show, gives one of the warmest, funniest and most oddly touching performances in a musical that I have ever seen." "But when Leanne Jones's Tracy is bounding about the stage exuding all-American resilience and optimism — well, she brought out the inner cheerleader I didn't know I had. " "There's even a delightful vaudevillian routine for Michael Ball, who plays Tracy's corpulent mum in spectacular big-bosomed drag and looks as if he's having the time of his life, and Mel Smith as her devoted, joke-shop-owning husband. " "Michael Ball deliciously fattened up and dragged down in bland frocks and lurid gowns, majestically slips into the role of the fat, foghorned laundress, "
"a man plays Tracy's mother Edna, a role it appears Michael Ball was born to play and he is obviously loving every minute. " "It is only when she discovers big-haired glamour that Ball turns on the floodlights, knocking everyone else off the stage. " "...and Michael Ball is very funny as her muscular moll of a mum who once entertained dreams of being a designer. " "Ball seems in his element in a frock, gaining much comedy value from his ample bosoms and behind, while Smith plays Ball's straight man, milking the pair's duet Timeless To Me with undisguised pleasure. " "...so Ball's casting was a bit of a surprise, but he proves himself to be a first rate Edna with great comic delivery and he really, really gets Edna (and loves her) "
...but this London production is better than when I saw it three or more times on Broadway. There were many others from Ball who gets on with his audience as if they are old friends. A fantastic evening was had by all and it was one of the most entertaining concerts I have attended in a while.
" Ball is, in short, a splendid leading man, of the sort in very short supply these days (and it doesn't hurt that he's still youthfully handsome). " " Ball is best known for his powerhouse baritone belt (an untrained sound for an opera house, but one that is appealing nonetheless)"
" writer of verse so exalted and ethereal its preciousness is matched only by that of his personality." " delivers a hilarious term as the poet modelled to some degree after Oscar Wilde." " He is the brilliant centerpiece of Tazewell Thompson's fine production"
"We keep thinking, "Too much, too much," and then Mr. Ball and Mr. Burdette appear and charm the pants off us." " the insufferable Bunthorne benefited not only from his good looks and easy, charming voice, but from the canny stage instincts of a genuine West End star." So Ball's appearance as the "ultra-poetical, super-aesthetical" Bunthorne is something of a sneak preview of his comical gifts. "The costumes of Merrily Murray-Walsh were interesting and appropriately colorful and Mr. Ball used his fur-collared cape to great effect. " "Michael Ball has enjoyed an enormously successful career as the UK's top male musical theatre star and million selling recording artist." "... he has consistently proved he has the voice, the charm, the acting talent and the charisma to be rightly described as the best of the best. " "...gloriously completes his journey from juve and romantic lead to ornate, hilarious character actor here..."
"... Michael Ball may still not be my particular cup of tea but I realise that I had underestimated him." "Ball manages to eclipse Edith Piaf on the insistent, foot-stamping refrain of Padam and turns There's No Business like Show Business into something approaching a reverie "
" "So I'm a little nervous," he told the Salt Lake audience of his first-ever U.S. concert. Not to worry." Brisbane Newspaper ~ 24 carat star shine is as rare as it is awesome. Melbourne Review ~ Michael Ball's talent is non-negotiable. Guardian ~ half an hour after the scheduled curtain up the cast and capacity audience were sent home. BBC 3 ~ Emma Watson: "There was lots of magic. It was very cool." Sheridan Morley ~ be careful, very harsh review! Evening Standard ~ "Another challenge is that I have to dance - I've never danced on stage before.' And how's it been? 'I've never known pain like it,' he sighs." BBC website ~ invited guests were Joan Collins and new husband Percy Gibson, Sir Cliff Richard, Shirley Bassey and ex-EastEnder Martin Kemp. Evening Mail ~ Michael Ball is simply a magnificent performer. The Daily Telegraph ~ Still, it's a finished artist who can make something new of There's No Business Like Show Business, sung here very slowly, almost as a lullaby until the inevitable wow finish. News of the world ~ The stage idol couldn't wait to explore for spooks after appearing at an open-air concert at creepy Glamis Castle, Angus. Sunday Mercury ~ Musically, he's been there, seen it, done it and probably has a collection of T-shirts to prove it. Birmingham Post ~ Never mind chocolate eggs and bunnies - Michael Ball was the Easter treat..
Evening Mail ~ For his marvellous voice was enough to inflame the passions of the mostly female sell-out audience. The Times, Critical List: A jewel in the West End's crown. 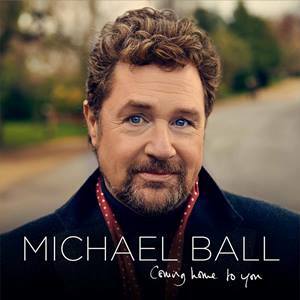 No light entertainment: Michael Ball the possibility to finally prove his voice volume that was before completely underrated. Daily Telegraph ( 10/10/1985): (...) with Valjean's death after his ward's wedding to her wounded student lover. It left me doubtful about the whole ponderous exercise. Spectator (19/10/1985): (...) The songs are unmemorable save for one, quite rousing, beer-hall number which buzzed about in my head for a couple of hours after the performance. Grease star for Godspell: (...) and a talented group of young actors, Michael Ball , Phillip Aldridge and John Ramm.